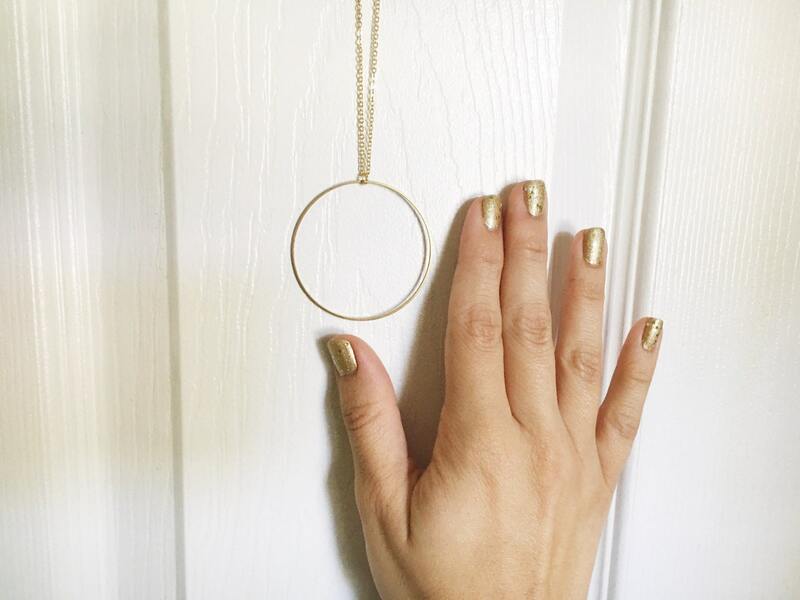 SALE Gold Open Circle Necklace // Long Circle Necklace // Geometric Necklace // Circle Necklace // Geo Supply Co. 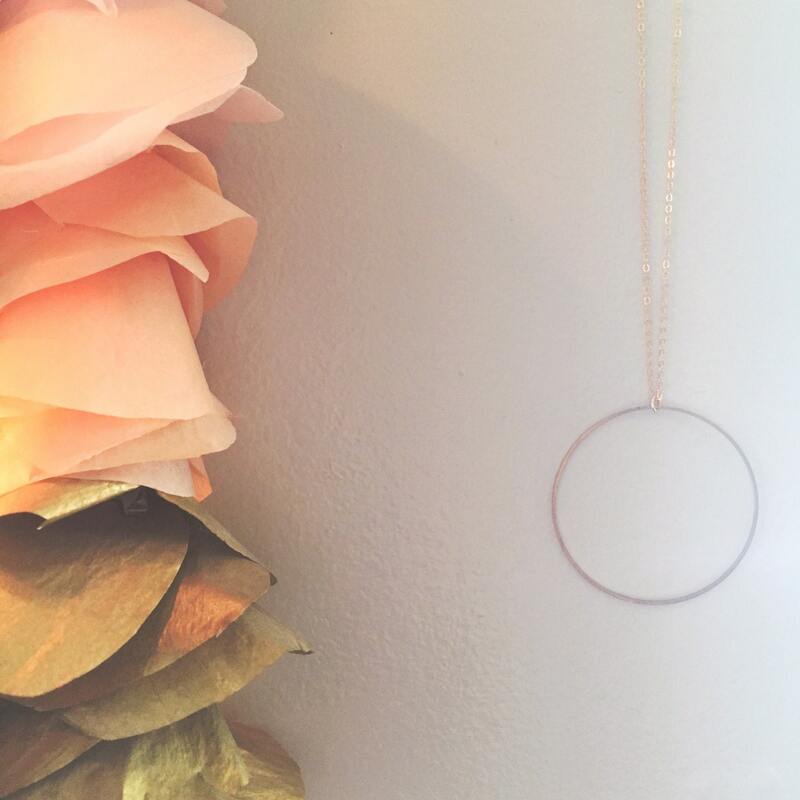 The gold- plated chain is dainty but strong and 35” long. 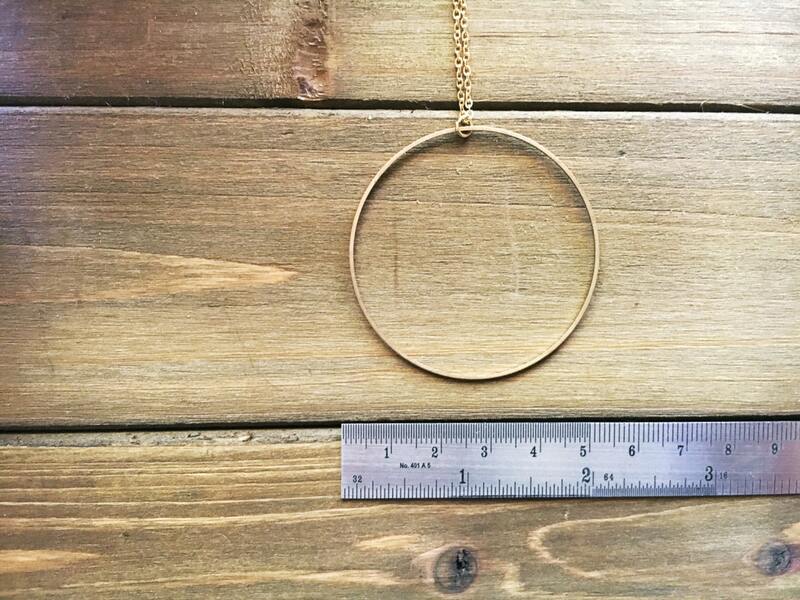 The brass circle measures 2 inches wide. For cleaning tips, visit my shop policies. 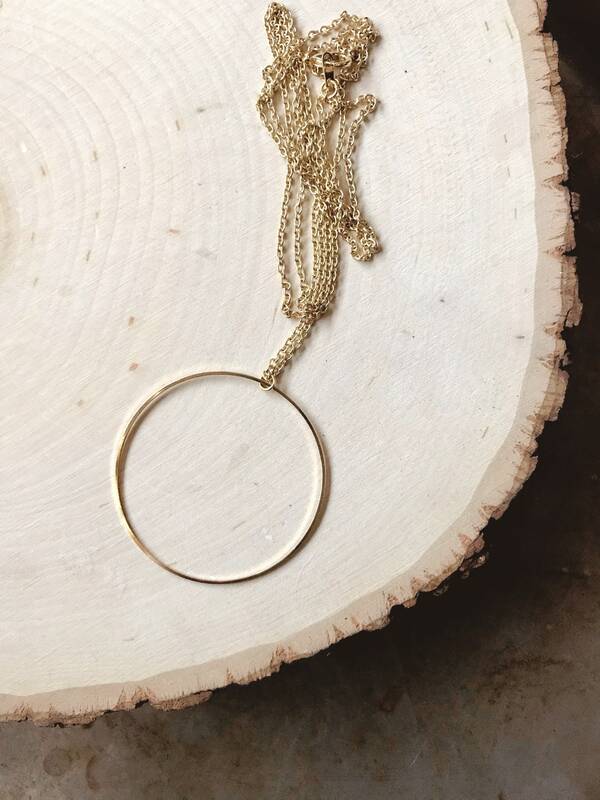 All necklaces come in a gift bag or box with the Geo Supply Co. logo. If you are ordering multiple items, let me know if you would like them in individual bags- if not, multiple necklaces will be packaged together. All items are made to order so please check the top of our policies page for the most up to date production and delivery times. If you need it sooner, please send us a message on Etsy. Brass is an alloy of copper and zinc and will naturally tarnish when exposed to oxygen. The process can be sped up further when jewelry gets wet, absorbs beauty products, or worn while sweating, showering, etc. The great news is brass can easily be polished up! Check out our shop policies for easy, at-home tips for cleaning your jewelry!